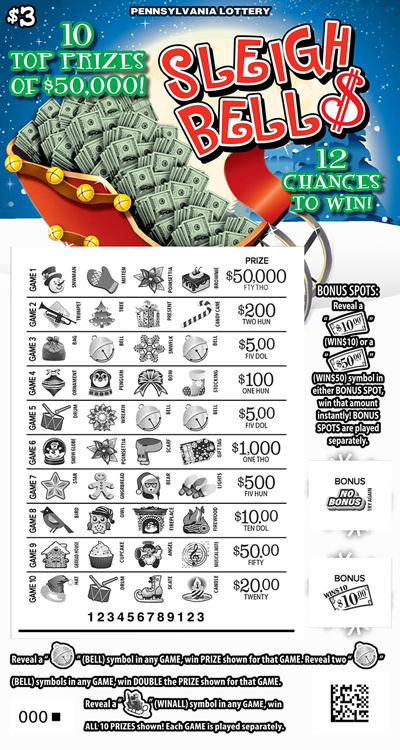 Sleigh Bell$ is a $3 game that offers 10 top prizes of $50,000 and features enhanced printing for the holiday season. Reveal a "JINGLE BELL" (BELL) symbol in any GAME, win PRIZE shown for that GAME. Reveal two "JINGLE BELL" (BELL) symbols in any GAME, win DOUBLE the PRIZE shown for that GAME. Reveal a "SLEIGH" (WINALL) symbol in any GAME, win ALL 10 PRIZES shown! Each GAME is played separately. 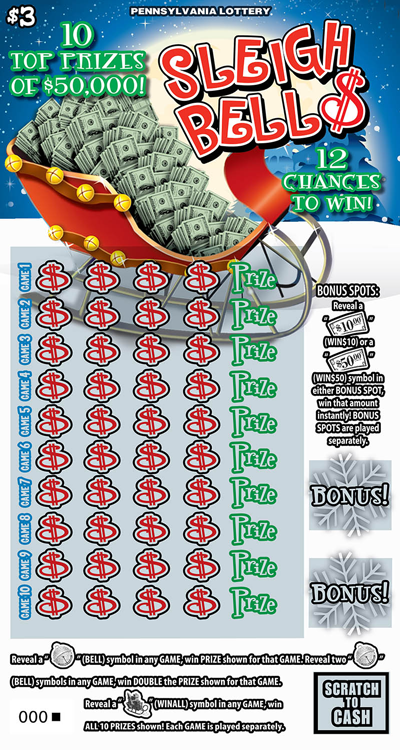 BONUS SPOTS: Reveal a "$10 BILL" (WIN$10) or a "$50 BILL" (WIN$50) symbol in either BONUS SPOT, win that amount instantly! BONUS SPOTS are played separately.